The Attorney General’s Office works with the Washington Department of Ecology and the Washington Department of Health to ensure that manufacturers comply with Washington’s toxics in products laws. You can search product testing data, manufacturer reported data and read product testing reports on Ecology’s Product Testing page. 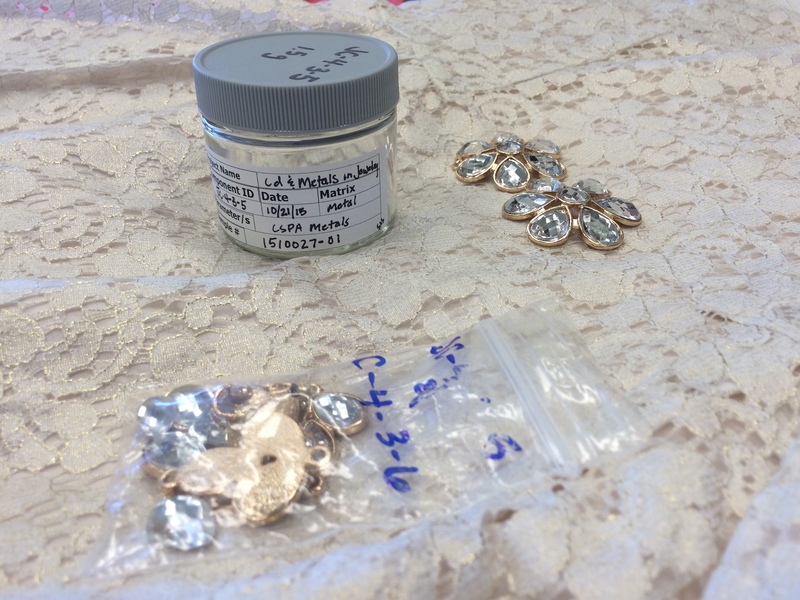 Testing by the Washington Department of Ecology found high levels of cadmium and lead in five pieces of jewelry sold packaged with girls' dresses. Cadmium was found at levels of up to 98 percent in four it ems, while one was found to contain 5 percent lead. Cadmium is considered a probable human carcinogen, or cancer-causing agent, and has been linked to other health impacts. More information on cadmium is available from the U.S. Environmental Protection Agency. The manufacturers of these products have been notified that they must either show these products are in compliance with Washington’s Children’s Safe Products Act, show that they are no longer for sale, or recall the products. Jewelry packaged and sold separately was not found to contain high levels of cadmium and lead. Parents who purchased one of these items are advised to safely dispose of the jewelry piece or return it to the store. Ecology also shared its testing data with the U.S. Consumer Product Safety Commission.